"With space long ago reached by man, and commercial spaceflight tantalizingly close, the last great challenge for humans is to reach and explore the depths of our planet's oceans." Sir Richard Branson made that statement shortly after announcing Virgin Oceanic earlier this year. With this week's dedication of Spaceport America and the start of NASA's latest NEEMO Mission, the seemingly unrelated topics of spaceflight and aquanauts are all abuzz on the interwebs. Nowhere do these two ideas converge better than in Virgin Oceanic. 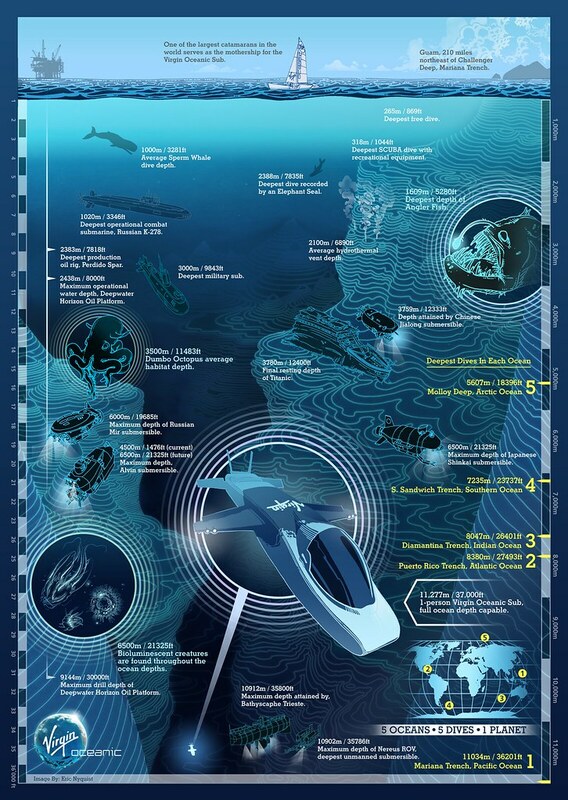 Realizing that more than 95% of the Earth's oceans are unexplored, Virgin Oceanic hopes to ignite public excitement in ocean exploration by venturing to the deepest points on Earth. In the process, we'll learn a great deal about those environments and ourselves. As submersible technology improves, this could lead to a whole new realm of possibility for humans to explore our home planet. 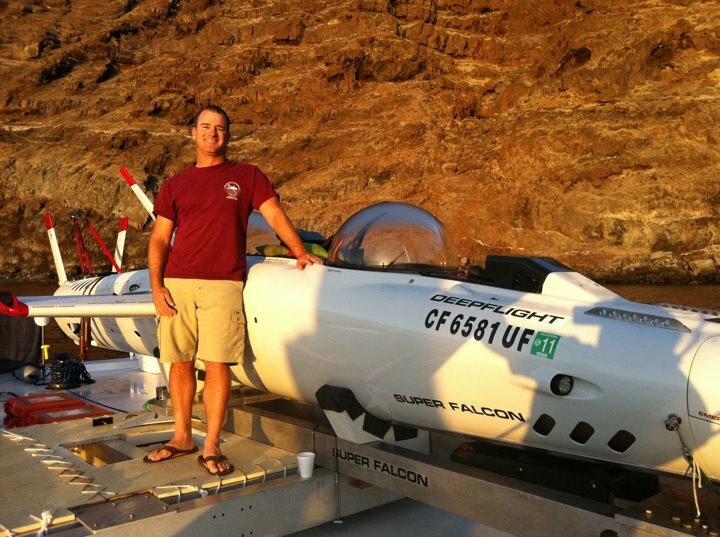 Today, I have the distinct privilege to share with you an exclusive interview with Virgin Oceanic's Operations Manager Eddie Kisfaludy, who recently returned from testing Virgin Oceanic's "Deep Flight" submarine with Branson and some great white sharks near Guadalupe Island, Mexico. 1. 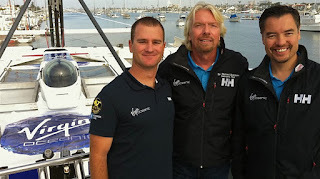 What is the mission of Virgin Oceanic both short term and longer term? Kisfaludy: The short term goals of Virgin Oceanic (VO) are to get the world excited about exploring the deep sea. I think it would be great for VO to ultimately make the deep sea more accessible to people, not just robotic instruments. Perhaps looking at what Sir Richard has done with space travel may be of some indication. We are taking things one step at a time, conquering challenges as we go, and building on those successes one challenge at a time. Working in the ocean is uniquely challenging, but we have a great team to make it possible and hopefully achieve feats never before acomplished. Recent advances in technology and composite materials are making the deep sea more available than in decades past. 2. What is your background and what drives you to explore? Kisfaludy: I grew up studying marine biology, oceanography, and aviation, with a fascination for engineering and how things work. My childhood revolved around ocean activities, but it wasn't until later in life that I had the money and time to get serious about pursuing my passion for aviation. I have logged over 2000 days at sea and have lead 800 oceanographic excursions around the world doing everything from diving for new biological species, deploying and recovering massive amounts of marine instrumentation, and occasional appearances on natural history TV programming. I was the senior curator of field operations and marine biological collector at Scripps Institution of Oceanography UCSD for 10 years, founding director of the Scientific Boating Safety Association, American Academy of Underwater Sciences SCUBA diver/board member, ROV pilot, licensed U.S. Coast Guard Captain, and FAA Certified Flight Instructor with suborbital astronaut training experience at NASTAR and AGSOL as an associate member of Astronauts for Hire. 3. How did you get involved with Virgin Oceanic and what is your job? 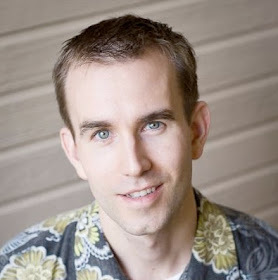 Kisfaludy: VO co-founder Chris Welsh discovered me when I was working at Scripps Institution of Oceanography and thought my background running their nearshore marine operations would make a valuable contribution to his mission. I started working with him on a project called the Five Dives Expedition before Virgin even entered the picture. It's been an interesting ride so far, especially with the Virgin partnership. 4. Which of Virgin Oceanic's scientific or geographic investigations excite you the most? Kisfaludy: Getting the world excited about exploring the deep sea is what really drives me and is the main reason why I am part of VO. The oceans have been neglected so badly that it'll take someone like VO to do something sensational and grab the world's attention. People need to be inspired - passionately inspired, and that only comes from intimate involvement. The Apollo team did it for the moon; hopefully we can do it for the deep sea. 5. How does overcoming the challenges of deep ocean exploration help space exploration and vice versa? Kisfaludy: It really is two different worlds, sea and space. The ocean can be a nasty, corrosive, unforgiving, unpredictable, hostile environment with many mysterious unknowns that sometimes catch you off guard logistically. Space is far more predictable in an extremely stable environment. Space exploration is focused on technology and systems whereas Virgin Oceanic submarine operations deal with the system challenges along with dynamic environmental conditions like swell, wind, cold, heat, extreme pressures, seclusion, motion sickness, predatory and toxic sea creatures, and all the other inherent hazards that come with working at sea. The difference in pressure between the sandy beach and space is 15 PSI. The difference in pressure between a sandy beach and the bottom of the worlds deepest deep sea trench is 16,000 PSI! Thats about 1000 times more pressure difference working in the deep sea then space. Interestingly, it's far more expensive to send a man to deep space then it is to send a man to the deep sea. 6. What, if any, crossover or collaboration may occur between Virgin Oceanic and Virgin Galactic? Kisfaludy: There is not very much crossover. Virgin Galatic and Virgin Oceanic are two separate companies with a similar name. At this time, we know each other and attend each others events, but have not collaborated significantly on any major project yet. 7. Richard Branson has asserted a new definition of 'aquanaut' as as anyone who goes below 20,000 feet depth in the ocean, but the traditional meaning is anyone who has spent 24 hours or more living continuously underwater. What do you think about this, and does it have any implications for how 'astronaut' could be defined? Kisfaludy: It's like asking the difference between a cosmonaut and an astronaut or a space flight participant. If an astronaut is someone who conducts scientific missions in space, then perhaps an aquanaut is one who performs scientific missions at depth. SEALAB was a saturation diver project that was conducted in 200 feet of water in front of Scripps Institution of Oceanography a few decades ago where people lived on the seafloor for several days. This was not below 20,000 feet, but they were living under the sea conducting science. Does this make them 'aquanauts'? I think you would qualify as an 'aquanaut' if you traveled to a significant depth or remained underwater for a significant amount of time in support of science. What exactly formally defines 'aquanaut' will likely be decided by an ocean equivalent of the Federation Aeronautique Internationale.